In this week's Character Design class, we took a field trip to Africa! 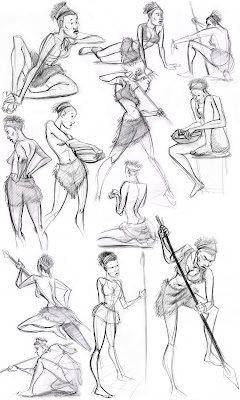 Seriously, though, the model--who was African-American--went all tribal on us with a cool fur/hide outfit and spears and bowls and baskets and all that other stuff that we associate with that wild, wild place called Africa. It was like National Geographic in that room!